Loma Linda University School of Public Health Alumna Dr. Ogbochi McKinney, received the Emil Bogen Excellence in Research Award at the 2014 Southern California Public Health Association. 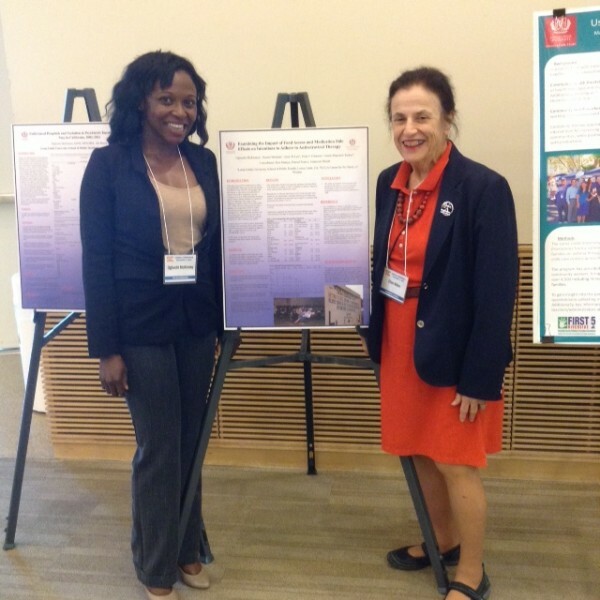 Dr. McKinney received the award, given annually, for research in Malawi she conducted as part of her dissertation entitled “Examining the Impact of Food Access and Medication Side Effects on Intentions to Adhere to Antiretroviral Therapy”. “I was taken by surprise when my name was announced.” said Dr. McKinney. “Not only was the award unexpected, but about an hour before the award, Dr. Emil Bogen’s daughter, Dr. Ellen Alkon came up to me and asked, “Was this research you conducted while you were still a student? Seeing that you now have DrPH behind your name”. I didn’t think anything of their question. However, it felt awkward since I was not standing by my posters when they asked the question.” Dr. McKinney received her DrPH in Health Education with a cognate in Epidemiology in 2014.